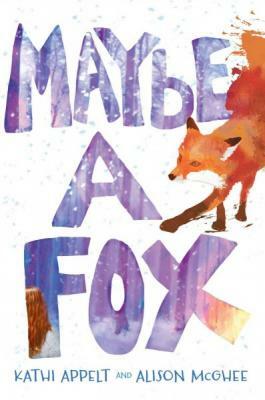 Worlds collide in a spectacular way when Newbery and National Book Award finalist Kathi Appelt and Pulitzer Prize nominee and #1 New York Times bestseller Alison McGhee team up to create a fantastical, heartbreaking, and gorgeous tale about two sisters, a fox cub, and what happens when one of the sisters disappears forever. Sylvie and Jules, Jules and Sylvie. Better than just sisters, more than best friends, they’d be identical twins if only they’d been born in the same year. And if only Sylvie wasn’t such a fast—faster than fast—runner. But Sylvie is too fast, and when she runs to the river they’re not supposed to go anywhere near to throw a wish rock just before the school bus comes on a snowy morning, she runs so fast that no one sees what happens…and no one ever sees her again. Jules is devastated, but she refuses to believe what all the others believe, that—like their mother—her sister is gone forever. Alison McGhee is the New York Times bestselling author of Someday, as well as Dear Sister, Maybe a Fox, Firefly Hollow, Little Boy, So Many Days, Star Bright, A Very Brave Witch, and the Bink and Gollie books. Her other children’s books include All Rivers Flow to the Sea, Countdown to Kindergarten, and Snap. She lives in Minneapolis, Minnesota, and Laguna Beach, California. You can visit her at AlisonMcGhee.com.